Subaru UK announces specifications of the 2018 Outback, an update on the current generation model. The current model of Subaru's rugged Outback estate has undergone a series of exterior and interior updates for its 2018 model year. 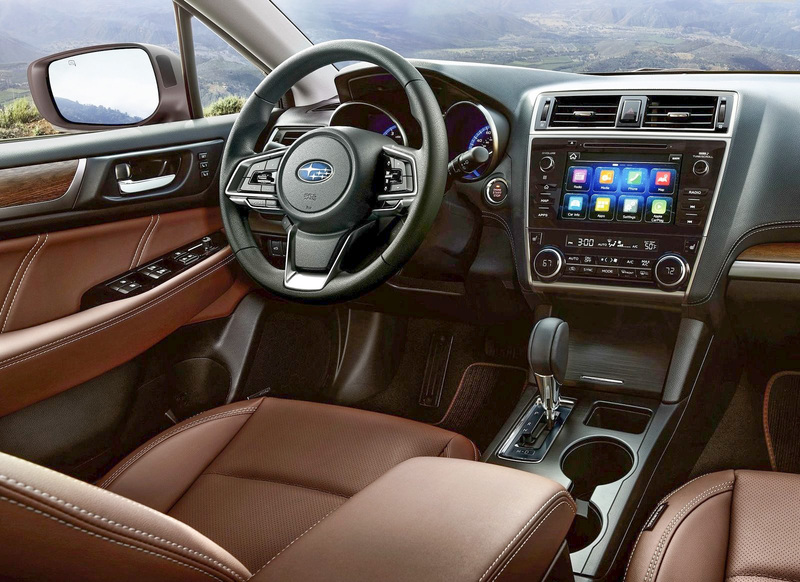 Introduced in 2015, the fifth-generation Outback has been redesigned to raise cabin quality and refine the model's plethora of technology and safety offerings, while its current pricing structure remains unchanged. Immediately noticeable are the redesigned front grille, bumper, door mirrors and headlights. The new hexagonal grille redesign showcases a sharper, more defined shape and incorporates the distinctive Subaru wing design, which draws parallels to the iconic horizontally-opposed Subaru boxer engine. A new addition to the Outback's exterior design and the safety suite is a front view camera, positioned just below the marques six-star badge. Placed on the front grille, the front view camera monitors the 180° area in front of the car that would normally be in the driver's blind spot. These images, as well as visible guidelines, are displayed on the touchscreen to aide drivers in gauging potential hazards in front of the car and improve overall manoeuvrability. Offering enhanced all-round visibility, the refreshed Outback is fitted with an additional side view camera mounted at the base of the passenger door mirror. Displaying the area diagonally in front of the passenger side of the Outback, the resulting imaging allows drivers to navigate through narrow spaces with greater ease. There's now a 'view switch positioned next to the X-Mode button which allows the driver to move between display options on the centre touchscreen. Lane-keep assist is now available on all models of the Outback, along with cornering headlights. Interior changes include decorative gloss black panels and silver surrounds, along with a larger eight-inch multifunctional touchscreen for the SE Premium model, which is also compatible with both Apple CarPlay & Android Auto and DAB radio functionality. The SE trim model receives a refresh with an updated 6.5-inch multifunction colour touchscreen and fabric seating trim with heated front seats. 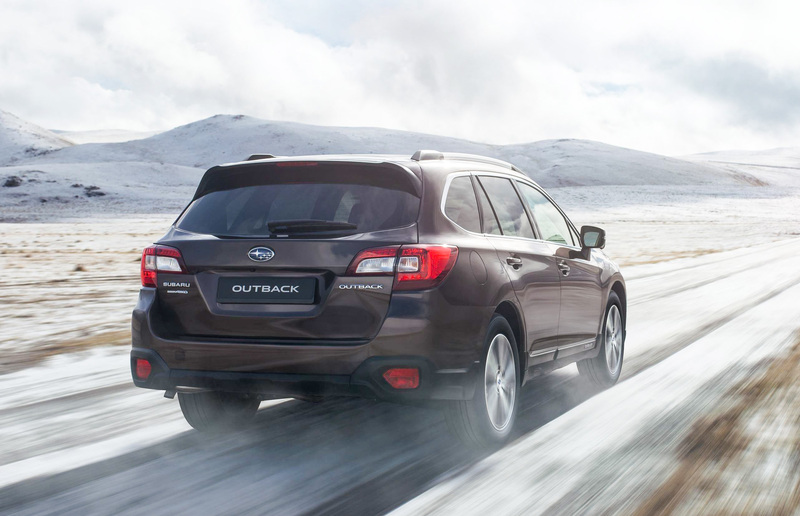 The Outback is still powered by the trusty 2.5-litre 'FB25' naturally-aspirated boxer petrol engine. Due to its size and 'flatted' shape, the engine is installed lower down and further back than a conventional engine for a lower centre of gravity and transitions beneath the passenger compartment in the event of a frontal collision. The boxer engine – with its unique 'punch-counterpunch' rotational cycle – offers smoothness, low vibration and noise, plus excellent accelerator response. The 2.5L engine produces 175ps at 5,800rpm and 235Nm torque at 4,000rpm. The engine returns fuel economy of 38.7mpg on the combined cycle and CO2 emissions of 166g/km. ➤Call and have a chat with our award-winning Customer Service Team on 0800 043 2050 to discuss our best leasing deal on the 2018 Subaru Outback.